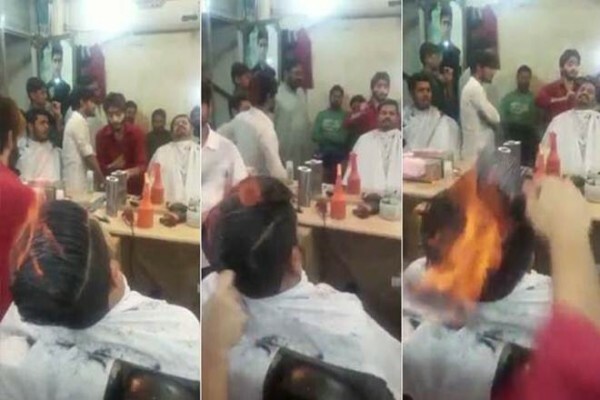 We’ve seen fire used as a way to cut hair before, but one hairstylist in Pakistan is literally setting his clients heads on fire just to make their hear easier to comb. It’s an impressive, albeit shocking, display, that has recently made him famous around the world. Shafqat Rajput, was just another barber in the city of Bahawalpur, Pakistan’s Punjab province, but after a patron recorded a video of him practicing his unique fire treatment on a customer and posted it on Facebook, he instantly became an overnight internet celebrity. The short clip shows the young hairstylist sprinkling powder on the patron’s hair, followed by a healthy dose of an unknown flammable fluid before casually setting his head ablaze with a lighter. He proceeds to comb the hair while it’s burning, using a comb and brush. After putting the fire out with his fast brushing, Rajput repeats the procedure. All this time, the client sits calmly in the barber’s chair, looking at his burning hair in the mirror. As if Nutella wasn’t versatile enough already, it turns out that you can also use it as a temporary hair dye for delicious-looking caramel locks. Having your hair smeared with a mix of Nutella and condensed milk sounds downright nuts, but as an Instagram video recently gone viral proves, the delicious combination can actually be used a temporary hair dye. 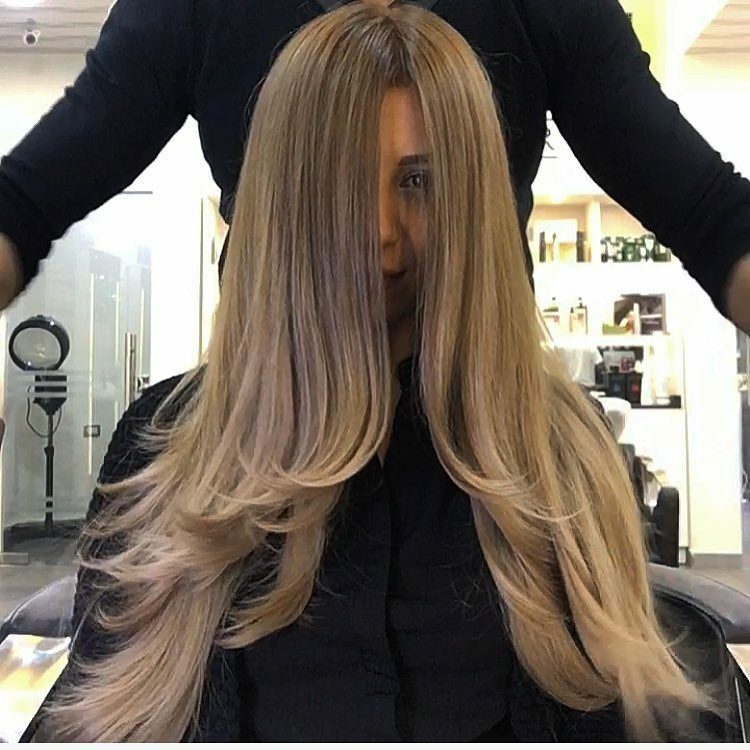 Shot by beauty blogger Huda Kattan at Dubai-based hair salon Abed & Samer, the bizarre video shows a young woman having her blonde hair smothered with dollops of Nutella hazelnut spread and drizzled with condensed milk. The hair-stylist then covers her locks with tin foil to let the delicious mixture work its magic on the hair, before washing it all off in the sink. At the end of the video, the woman sports a natural-looking caramel hair color. Ansar Ahmad, a young barber from Varanasi, has become somewhat of a national celebrity after a video of him cutting hair with the scissors in his mouth recently went viral online. From barbers using samurai swords and hot metal tongs to cut hair, to others practicing their trade blindfolded or sitting on their heads, we’ve featured some pretty bizarre hair-styling talents on Oddity Central, but Ansar Ahmad’s skills are new, even to us. The Varanasi-based barber holds the scissors in his mouth to cut hair, and does such a good job that customers line up his shop to get what some describe as “the perfect haircut”. Ansar has been cutting hair since childhood and first mastered the art the old fashioned way, using his hands. But an accident 15 years ago pushed him to come up with an alternative way of practicing his trade. He soon discovered his mouth was just as able as his hands, when it came to cutting hair. “As I couldn’t work with one hand, I used to face a lot of problem that time. It took me three years to learn the art. Now, I can easily cut hair holding scissors in my mouth,” he told ANI News. There’s something quite special about dads doing their daughters’ hair – celebrating the fact is Denver salon owner Calli Huebl-Bodilis. She regularly hosts a hairdressing workshop called ‘Beer and Braids’ for dads and their little girls at her salon, Envogue. The workshop – priced at $55 – provides one-on-one training to six dads on ponytail, braid, and bun basics. They get hands-on practice on their own daughters’ hair, after which the little girls put on a fashion show that is judged by stylists. The winning dad gets a six-pack of beer, while all the girls are gifted goody bags with hair products. Looking to teach your misbehaving children a lesson? Well, a barbershop in Snellville, Atlanta, seems to have hit upon the perfect solution – old-man haircuts that make kids look like they are balding. Aptly named the ‘Benjamin Button Special’, the haircut involves shaving the crown of the head and leaving the sides long to make them resemble a balding elderly person. The service is offered free of charge three times a week by Russell Fredrick and his team at their suburban salon A-1 Kutz. When you go to Rob Ferrel for a haircut, you know you’re in for something really special. The professional hair artist can sculpt logos, designs, patterns and even celebrity faces on a head of hair. He runs his own salon called Rob the Original Barbershop, in San Antonio, where he works his magic every single day. At first glance, some of Ferrel’s customers look like they’ve got stuff painted on the back of their heads. But take a closer look and you’ll realize that it’s all hair. Super-talented Ferrel discovered his special gift only eight years ago, when a kid walked into the barbershop he worked at and asked for a small little swirl. “From there I started doing stars and more complex designs, team logos” he said. “And then I wanted to do something different and stand out, so I did portraits. Now if they bring me any image, I can replicate it in their hair”. Back in 2006, Ferrel’s clients had to bring him images of the portraits they wanted, but now, with the help of modern technology, he can just look up the image on his phone and sculpt it freehand, using regular tools like trimmers and clippers. Tian Hao, a Chinese hair-stylist, from Xi’an, Shanxi Province, has recently made news headlines with his unique method of cutting hair. With his eyes shut, Tian claims to use Zen meditation to “feel” the aura of his customers’ hair and trim it without chopping bits of scalp. Until now, I thought using an open flame was the most extreme way of styling hair, but after reading about Tian Hao’s technique, my opinion has changed. This Chinese master keeps his eyes closed while wielding two sharp scissors and unleashes his hair-cutting talents on live subjects who actually pay a fortune for his service. 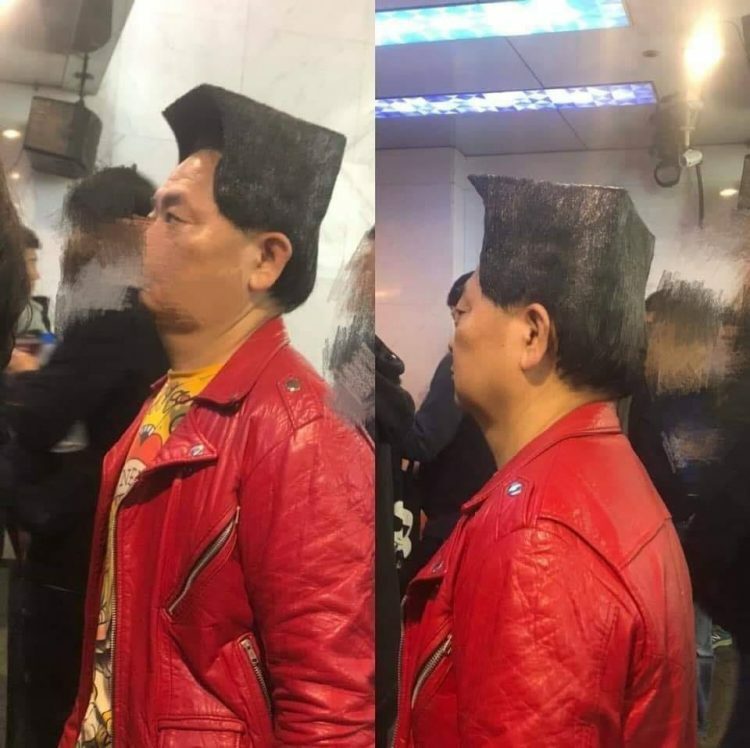 To demonstrate his unusual skill, Tian recently made a demonstration at his salon in Xi’an, where he cut two models’ hair at the same time, without chopping their scalps off. In fact, the beggar-looking hairdresser says he hasn’t had an accident with the scissors yet.